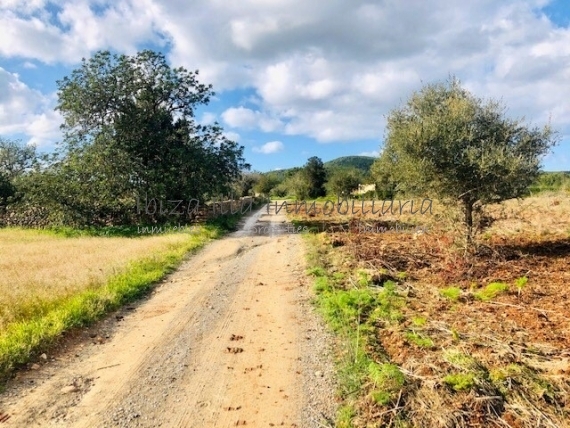 Beautiful land of just over 15.0000m2 completely flat in the surroundings of the cosmopolitan town of Santa Gertrudis. Currently there is a house of 175m2 that can be extended up to 300m2. An authentic haven of peace in the middle of nature with a lot of potential in one of the most up and authentic areas of the island of Ibiza. The Morna College International School, the horse riding stables, the public swimming pool as well as fashionable cafes, restaurants and bars are just a few minutes away by car. It does not have electricity. Ask us and we will help you with the negotiations.